My goal for starting the skincare series was to share things that I have learned over the years working as an esthetican. I wanted to share useful information, tricks tips and DIYs that you can do at home and you don't have to spend a fortune. I have always believed the more holistic and natural the better. After taking a little break from the series (due to feeling slightly unmotivated) I realized how much I truly do enjoy it and I am happy about starting it back up again. So I am going to bring it back with a skincare DIY that is probably one of the best skin clearing remedies that I have posted about to date. Fresh or dried thyme. I used dried which I found at my local health food store in bulk. Apple cider vinegar. You can read all about the benefits here. Glass container to store toner. I used am empty vitamin E jar. Glass jar. I used a mason jar. Add about 1/2 cup of raw apple cider vinegar into a glass jar and place inside a bowl of hot water to warm it up. Once it is heated add about 3 tablespoons of thyme. Let this sit for up to two hours. 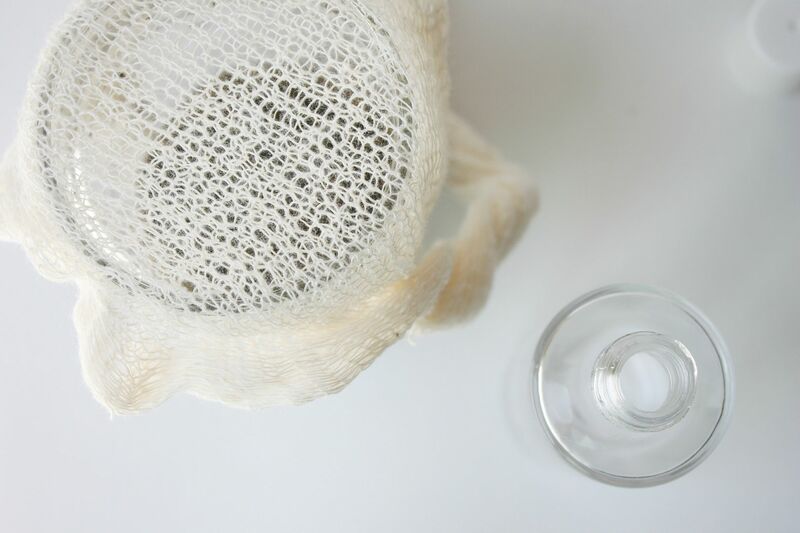 Place the cheesecloth on top of the glass jar and carefully pour the liquid into your toner container. You now have the ultimate acne and age spot fighting toner! You can use this nightly. Apply it with a cotton pad, let dry and then apply your moisturizer on top. To prolong the shelf life of your toner keep it in the fridge. My suggestion would be to only make a small batch at a time and try to use it up within two weeks. Do you find this is more effective than tea tree oil for trouble spots? I love natural face products you can make in the kitchen and this one is very interesting and sounds promising! Thanks for sharing. Erica- This is more for acne, pigmentation issues and sun damage while tea tree is great for a spot treatment for large blemishes. Since everyone's skin responds differently to topical ingredients it really just depends on what you find works best for your skin. Love the idea, i will try soon. 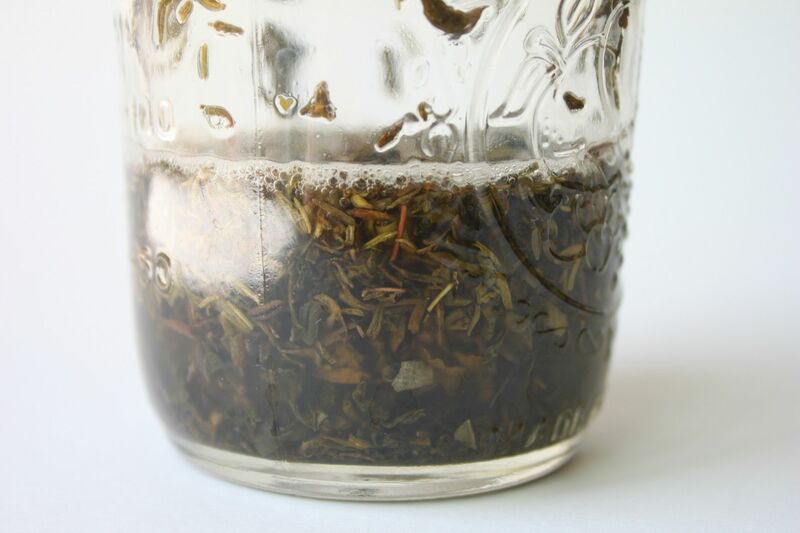 You always have the best at home remedies - luv your blog!! I seriously need this right now...having a major breakout! See this is why I wanted you to continue with this series! I never thought of using thyme for the face but could use it as I am acne prone.Thanks for the tips. So excited to try this one! I love ideas for inexpensive, at-home face products! This sounds so good! I like that it's super easy to put together. Excited that your skin care tips are back! That sounds so great! I have acne prone skin and currently use benzoyl peroxide (10%) every night. This sounds like it wouldn't be so irritating- and wouldn't bleach! Such a cool skin care DIY!! I have thyme in my cabinet.... Never thought I could use it for anything else but cooking! I love this post, and I'm so trying it! 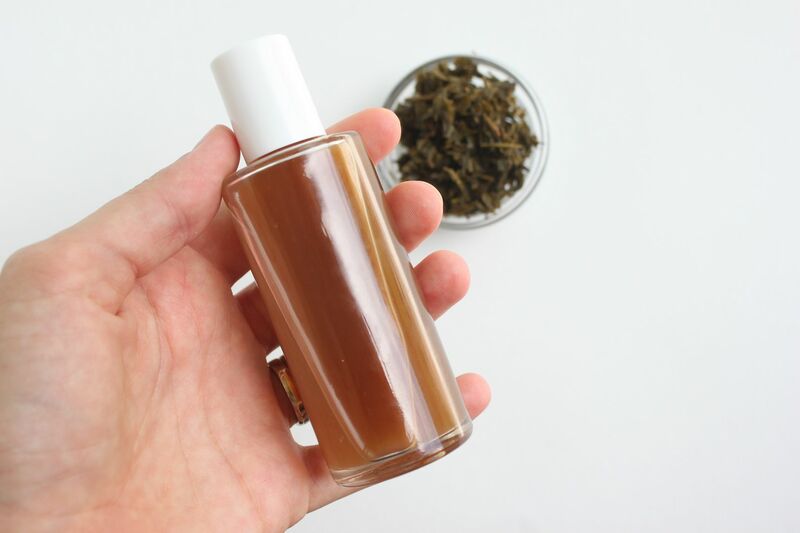 I love when you can make a beauty product from stuff in your own pantry - genius! Another great tip! Does the vinegar smell last? I mean will I be able to smell it when I go to bed? This sounds great and I'm excited to try it. However, I'm wondering why you have to use raw apple cider if it's going to be nuked in the microwave. ?? so, it can work with fresh thyme also, right? This is very powerful smelling. Didn't think I could stand the smell long enough to put on my face. Some people might be ok with it but it made my eyes water. Just made my first batch!! Can't wait to try it out when I wash my face tonight!! Hoping to give this a try for me and my tween aged kids. However, DO NOT use a microwave, even for a short time. They are proven to destroy the benefits of the items being heated. Just made this...can't wait to try it!! Thanks so much!! Care to share the results? 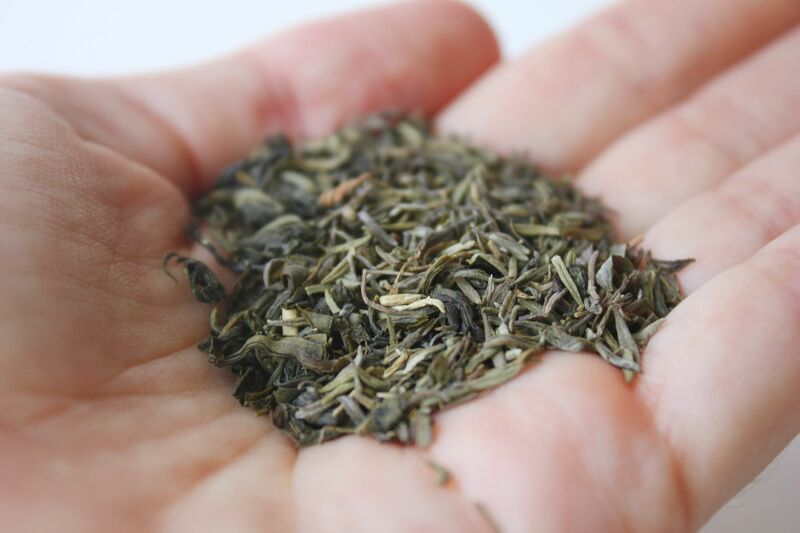 Also, all the reports I've read about the latest findings on thyme are based on a mixture of the herb and alcohol. So, @Lindsay, why use ACV? Thyme is great if taken in as organic as it is very potent and healthy. You can also try argan oil australia for youthful looking skin. What about using witch hazel instead of ACV?? I don't mind the smell of ACV but my daughter can't stand it. Last year, I made this for my daughters and they have remained blemish free, even during menses. Since I have been 'poo-less' since Halloween, (baking soda wash & acv rinse) I decided to play with this recipe a bit. I added rosemary and sage and use it as a hair detangler. Call me shocked, but after 2 months use, my greys had become much less noticeable, my hair not only stopped falling out but has grown back thicker and healthier than I ever remember it being. Thanks for your inspiration! It's been a win/win for me and my family. Can you add green tea to this? Does the container to store have to be glass? Do you have store this in a glass container or can you use plastic container? What do you do with the Thyme after you strain it? Can you reuse it or is it time to compost it? Thanks! Usually when a tincture like this is made with vinegar, it has to sit in the liquid for 5-8 weeks. Is this still effective after soaking for only 2 hours? Also, would it be ok to add tea tree oil too? I am confused about the heating up portion part of the recipe. Do you seal up the glass jar with a lid while heating or leave it open? Just set the jar in the pan with the water and boil? Just clarifying. Hi, we get thyme seeds in india, can that be used instead? 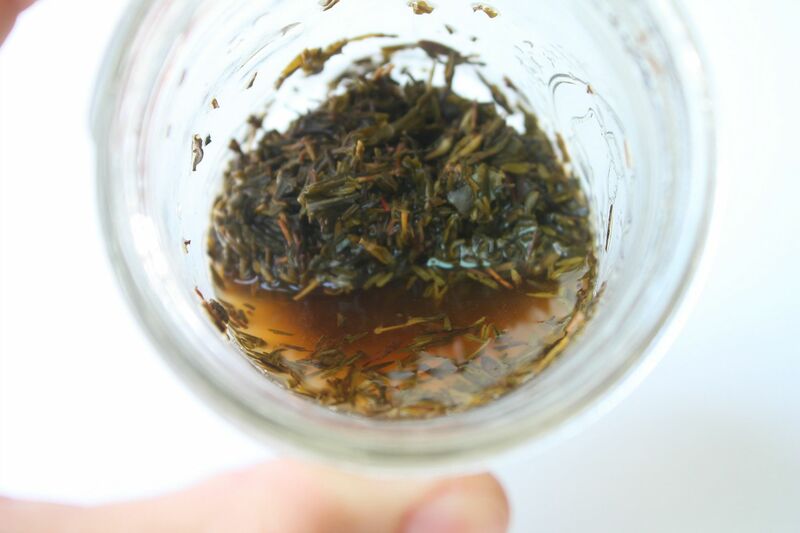 I recently made a simple thyme "tea" using nothing but warm water, allowing the dried thyme to steep for a few hours on my kitchen counter. I then strained it into a little spray bottle and have been using it as a toner (just mist my face and let air dry after washing twice a day, followed by just 2 drops of rosehip oil as moisturizer) - acne all gone! With nothing but thyme infused water! I've had acne for 20+ years! Thank You! This was the first recipe I used from your arsenal, and It got rid of my acne spots like nobody's business. I use Dr Haushka products but I simply can't afford it anymore. This will be the perfect replacement for their toner. It might even be better. Thanks so much! Making it today for my girls and I!! You wrote that this is the ultimate acne and age spot fighting toner. Which ingredient fights age spots? I always prefer home made and natural products for my skin. Your idea will be new addition in my home made remedies collection. Thank you so much for sharing. Will be looking for future addition too.